Hotel Cascade Country Manor, Paarl, South Africa - Lowest Rate Guaranteed! When you stay at Cascade Country Manor in Cape Winelands, you'll be 9 minutes by car from Nederburg Wines. 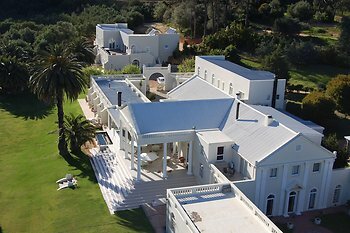 This 4-star hotel is 7.2 mi (11.6 km) from Breytenbach Centre and 7.4 mi (11.9 km) from Boschenmeer Golf Estate.